​For post black metal fans. Review of Fen's MLP "Stone and Sea"
Post black metal fans and the followers of the British band Fen, will soon have the opportunity to replenish their collections with the limited MLP "Stone and Sea". The album will be released on March 8 via Eisenwald Records and will consist of three tracks already familiar to those who knows the band’s discography. Their latest LP "Winter" (2017) was preceded by the split "Call of Ashes II / Stone and Sea" (2016), released jointly with Sleepwalker. Fen joined this tracklist with their three quite distinctive songs, which now gonna come out on a limited MLP. Is it a good idea to release the songs that were released more than two years ago on a separate CD? Let's think about it. In 2013-2014, Fen released their two rather dense, confident albums "Dustwalker" and "Carrion Skies". They were followed by the aforementioned split with Sleepwalker, for which the band recorded equally worthy tracks — in terms of timing, their bottomless atmosphere and versatility, they could become a fair EP and a good record in the collection of genre fans. To be more precise, in 18-odd minutes Fen, unlike their colleagues, put three completely different compositions: ambient "Tides of Glass" with delightful clean vocals in the style of 70’s Pink Floyd, an instrumental acoustic "Stone and Sea", that draws in listener’s imagination some episodes of the adventure saga, and progressive, swift "The Last Gravestone". Due to this diversity and relatively short timing, the tracks are easy to perceive, they leave a pleasant aftertaste of adventure, which absorbed you completely, but have ended so soon. The hand reaches for the repeat button, and here is the question — what’s wrong with the idea to please the fans with a separate CD of such immediate records? 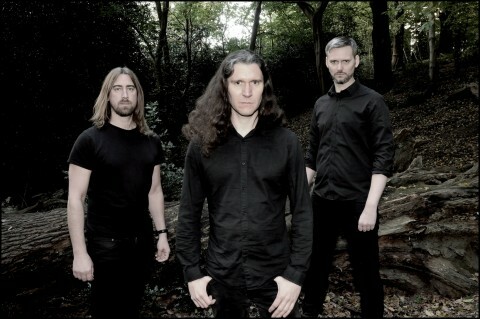 The more so, because the singer and guitarist of Esoteric and Lychgate, Greg Chandler, willingly took on their remastering. "Stone and Sea" will be released on March 8 via Eisenwald Records. Order it here.